My journey into Traditional Chinese Medicine (TCM) began in 1996 when I first developed an interest in the benefits of taiji and ﻿qiqong﻿. The fast-paced London lifestyle together with competitive sports led to a knee injury. I gave up squash and took up taiji and almost inadvertently began to adopt a more healthy approach to life in general. I was born in Bangkok to a Chinese father and British mother in 1967. I spent the first decade of my life in Thailand before my family moved to Canterbury. My professional journey started with a degree in Psychology and French. A few years into various teaching positions, abroad as well as in the UK and subsequent editing work, I discovered a passion for Eastern philosophies. This journey has taken me back to my roots in China. I first saw older ladies doing Taiji in the observatory park when training for family sports days in Bangkok. My father told me they were practicing to walk on the moon. Watching the graceful movements of qi floating through their small frames it is no surprise that I believed that their vocation was other worldly. The first acupuncture testimonial I heard was my father who experienced back pain in his early life. After a series of acupuncture treatments he no longer suffered from this compliant. This information must have been lodged in my subconscious and once I started to practice taiji and qigong in my 20s, it was a natural progression to go deeper into Eastern medical theory. I have deepened my knowledge and understanding of Traditional Chinese Medicine (TCM) by studying acupuncture at London South Bank University, with intensive clinical training at Harbin Chinese Medicine Hospital in the Heilongjiang Province of China. I also obtained a diploma to practice Tuina in the UK at Morley College. 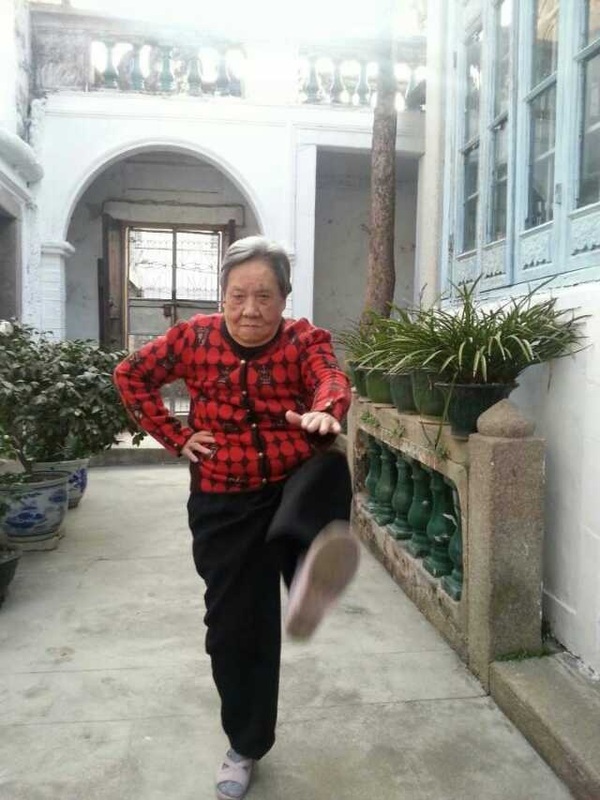 Finally in 2012 I returned to my father's birthplace near Shantou, Guangzhou province to find my aunt (aged 90) and cousin practicing martial arts and my uncle aged 90 in good health having survived cancer with the help of both Western and Chinese medicine. My approach to taiji is to emphasise the health aspects of standing qigong or zhanzhuang. The martial aspects are important in terms of yi or intent which helps to direct the qi however I use weapon forms as swordplay and tuishou or pushing hands more as a grounding exercise than as competition. My focus is on balance, posture, calming the shen or mind and developing a sense of dantian (translated as the alchemical "red cinnabar field" whereby the daoists thought they could achieve immortality through self-transformation). Another in-road into health is the healing qi arts of tuina and acupuncture. Whilst my awareness of qi helps in my sensitivity in treatments, an understanding of Chinese medical theory has allowed me to feel the qi flowing through the meridians as I practice qigong or perform tuina techniques. Evidence of meridians dates back to the Mawangdui tombs (from the Han dynasty 206-24BC) and this pre-dates the discovery of needles. One hypothesis is the ancient Chinese would meditate and feel these energy channels and later acupuncture was developed to tap into certain points to release, unblock or even slow down excess movement of qi in the channels. Through my clinical experience both in China and the UK, I have developed a particular interest in sports injuries, symptoms associated with cancer and Parkinson's disease, fertility and treatment of symptoms associated with menopause and stress-related symptoms (i.e. insomnia, back and neck pains, head aches, low moods etc). 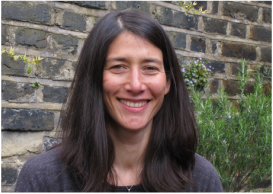 I currently practice acupuncture and tuina at Breathe London in Covent Garden and Waterloo and Cancerkin. I teach Taiji and Qigong at Morley College and Breathe London in Waterloo and Clissold Park in North London (drop-in class on alternate Saturdays). When I'm not practicing TCM I enjoy cycling around London and in the country, swimming or dipping in as many open waters as I can, the odd fell run and triathlon, reading, visiting galleries, cinemas and theatres, travel, cooking and eating (Thai cuisine is an innate passion), and spending time with friends and family.